The Biggest Selection of Garage Door Cables on the Internet! Our aim is to supply you with the Right Product at the Right Price! 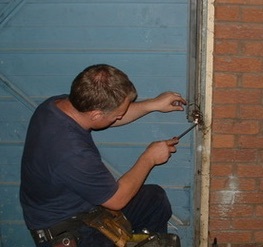 for all your Garage Door Cables and Repairs! Thank you for visiting our on-line shop. Our aim is to supply our customers with Garage Door Spares with a helpful and speedy service, knowing that they have purchased a quality product at the right price. When I left The Royal Marine Commandos after 9 years service, I was not sure what I really wanted to do. I eventually re-trained as a Plumber and a Locksmith, whilst working for a Plumbing Company (Plumbing Joinery Electrical Company) they needed someone to take on the increasing demand they were getting to repair garage doors. 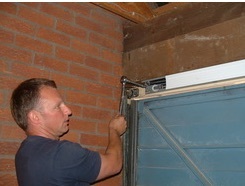 I volunteered to be trained up to repair all types of up and over garage doors. All small items are sent by www.royalmail.com and the larger items weighing over 1Kg are sent by one of our couriers. I would also like to say 'Thank You' to Liam from www.3rdfloorcomputers.co.uk for all his knowledge, expertise and willingness (even if it is on a Sunday Afternoon) to help over the last couple of years, Cheers! !